This topic contains 29 replies, has 21 voices, and was last updated by Charles Cross 7 months, 1 week ago. This is intended for general questions related to the battery cubelet. I inadvertently had two battery cubelets attached to the same robot. After realizing that I had two attached, I noticed that it seemed to be working normally. In general is it permissable to have more than one battery cubelet attached to the same robot? If so, does it provide twice the energy, so that the batteries will die down more slowly? Wow, that screw on the battery box could really have a somewhat deeper groove for the screwdriver. Can barely get the screw driver to stay in the groove when loosening or tightening. Any thoughts? Great question! It is completely okay to have multiple battery blocks attached to your robot. As you thought, the run-time of your robot will approximately double if you have two battery blocks in a single robot, triple with three battery blocks, and so on. You may also notice motors running a little faster, and lights a little brighter when you have two battery blocks attached to larger constructions. I feel your pain! Those little screws can be pretty difficult to get out. The idea is to keep young kids out of the battery compartment, but it can be pretty effective at keeping adults out, too. I’ve found that the easiest way to get these screws out is to pinch the block, placing your thumb on the screw head, and your middle finger on the opposite face of the cube. While pinching firmly with your dominant hand, use your other hand to spin the entire Cubelet clockwise. This will spin the screw counter-clockwise, removing it. On my personal set of Cubelets I just leave that screw out, but it’s important to keep it installed whenever young children play with them. I am still waiting for the little cube robots to be delivered by UPS; however, I would like to know how long can I expect my children to be able to play with the cubelets before I have to charge the batteries? i.e. lets assume the little robot uses all the cubes in the KT06 kit. It depends on how many cubes you’re using. If you’re playing with a KT-06 kit it can be up to 7 or 8 hours but if you’re using a KT-01 kit it’s about 2 hours. The little aluminum screw cross-threads very easily. Once that happens it’s a pain to do anything with it. I got it lined up and screwed back in, but I’ve stripped out the slot trying to get it back out. I now have a virtually worthless battery module. 1) Are replacement screws available? I can probably drill this one out without messing up the insert, but I’m pretty sure I can’t find a replacement at the hardware store. 2) Wouldn’t it be easier to manufacture a charger that you just snap the battery modules onto (magnetically)? That way the kids can charge their own as easily as they build robots, and there would be no reason to unscrew the battery compartment. I totally understand your frustration with those little battery screws – they are quite fiddly. We’re working on a solution for a new screw and I have a few samples here in the office that I can send you. If you would shoot me an email at support@modrobotics.com with a best address for you I can send you an entirely new battery block and put one of those new screws in it so you can avoid having to drill and tap and whatever else to get that screw out. Your idea for a snap-on charger is awesome. We considered that solution years ago during the initial design, but it wound up being simply too expensive at the time. With the release of MOSS (our second line of Robot Construction Systems) right around the corner our energies are concentrated there, but after the release we’ll be looking back at Cubelets and considering what improvements we could make. Prices for the electronic components have come down somewhat over the past few years so more things are now possible. Also, for MOSS we moved to a captive cell/charger combination where you just plug the battery module into a USB power source to charge the unit. Way easier! Thanks again for your feedback. I’ll look for that email from you and get your replacement out right away. 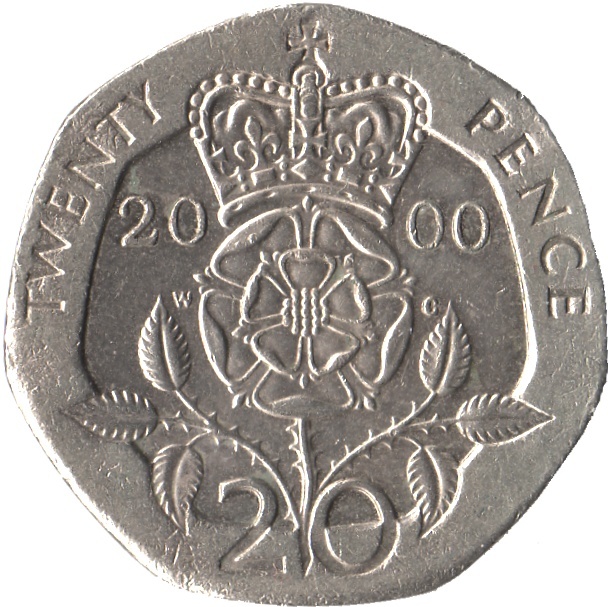 I have found that of all the screwdriving equipment in my house, the one that is most effective for that block is a British twenty pence coin (http://static-numista.com/catalogue/photos/royaume-uni/g96.jpg). I too now leave the screws out. My kid lives dangerously, I guess. I really, really wish the cubelets came with a fixed battery and USB port for charging, as I understand MOSS now does. just got my cubelets yesterday (hum… sorry my daughter’s cubelets). they’re expensive, but I’m (we’re) really excited. inside the battery cubelet, I found 2x 3.0V batteries. I had ordered (separately) 2x 3.2V batteries (that is what you show on you website). I’m glad you (and your daughter) are enjoying Cubelets. The 3.0V batteries and the 3.2V batteries will work just fine with Cubelets. In fact they output about the same voltage, there was just a labeling change made by the manufacturer. Thanks for reaching out! Be sure to let us know if you have any other questions. Battery comes with a warning on Charging: Do not connect the Battery Cubelet to more than one power source. What does it mean? How is it possible connecting one battery cubelet to more than one power source? I am normally charging the batteries with the same charger I got with my mobile phone connecting them to 220V here in Europe. So far so good, so please explain. It does seem a bit silly, doesn’t it? Although everyone here at Modular Robotics is quite sure you can only fit one USB connector into your Battery at a time, the people who wrote the regulations surrounding CE toy safety requirements are not as confident. The warning to connect your battery only to one power supply at a time is something that the toy safety standards require us to put on the package. I’m not sure, but my guess is that this is because they’ve seen people cut wires and twist them together into crazy contraptions. It is possible that if you connected two power supplies in parallel, the control circuits on those power supplies might cause resonances on the line that could cause trouble with the charging circuitry. Or you could connect power supplies in series such that the voltage going to the battery module was much higher than it should be. The list of crazy ideas people hack together are endless. In short: Keep scissors away from your robots and everyone will be alright! Any USB port connected to a micro-USB cable will provide the correct power supply for your Battery. I have been using The Educators Pack with my Grades 3-5 students the past 3 weeks and we love them! But one of my battery Cubelets when plugged into the USB has both Yellow-Orange and Green lights on when charging? All the other Battery Cubelets have a Yellow-Orange light until they are charged then turn off. What’s going on with that one Cubelet?